Apparently populist rage against pharmaceutical giants is nothing new. 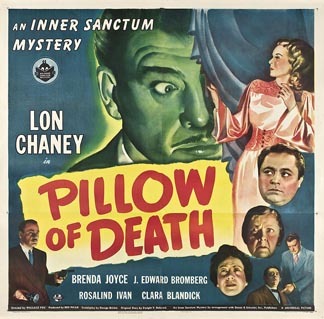 In Strange Confession, the fifth of six “Inner Sanctum Mysteries” produced by Universal Pictures and released from 1943 to 1945, Lon Chaney, Jr. plays a brilliant chemist named Jeff Carter whose life goes from bad to worse when he twice accepts employment from the unscrupulous owner of the largest medical distributing company in an unnamed American city. Strange Confession is more of a straight drama than the other films in the Inner Sanctum series. Except for its gruesome finale, it’s free of the Gothic overtones and murderous double-crosses found in the rest of the series. The opening few minutes are gripping, with Jeff clutching a bag in his hand and skulking through the shadowy nighttime city streets, deliberately avoiding a police officer. It’s a very noir beginning, right down to the story structure. Jeff arrives at the home of an old school chum named Mr. Brandon (Wilton Graff) and sits down to confess something horrible. He opens the bag and shows Brandon what’s inside. Brandon recoils, but the camera doesn’t reveal the bag’s contents. Jeff recalls better days. He once had a well-paying job, a pretty wife named Mary (Brenda Joyce), and a baby boy named Tommy (Gregory Muradian). Unfortunately, his employer, Mr. Graham (J. Carrol Naish) exploited his talents and treated him poorly. He even had Jeff hard at work on Christmas Eve, composing an acceptance speech for him in which he took full credit for Jeff’s accomplishments in the lab. Jeff quit his job and worked for a small pharmacy, forced to labor on his chemistry experiments after hours in his bathroom. He was poor, but happy. But this wasn’t enough for his wife, who wanted better things in life, so a year later, Jeff went back to work for Mr. Graham. Jeff, his wife, and little Tommy started living the good life, with a house in the suburbs and an Irish housekeeper named Mrs. O’Connor (Mary Gordon). Ill-gotten profits trump integrity, and the whole thing comes full circle, personally affecting the principal characters and leading to a bloody conclusion. Strange Confession is quite a good one-hour B picture. 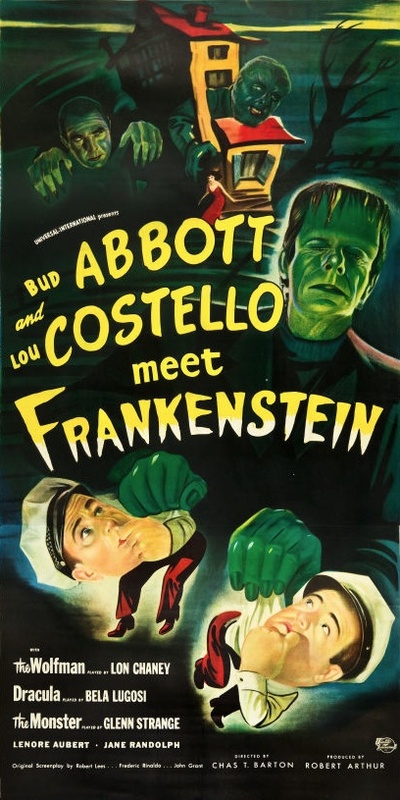 Chaney’s performance is better than usual, and Naish is a smooth, oily antagonist. He’s well cast, too. With his hangdog features, black hair, and pencil-thin mustache he looks like a shorter version of Chaney, making him the perfect doppelgänger villain. Posted in 1945, October 1945 and tagged Addison Richards, Ben Pivar, Brenda Joyce, Drama, Frank Skinner, George Chandler, Gregory Muradian, Horror, Inner Sanctum Mysteries, J. Carrol Naish, Jean Bart, John Hoffman, Lloyd Bridges, Lon Chaney Jr., M. Coates Webster, Mary Gordon, Maury Gertsman, Milburn Stone, Mystery, Russell Schoengarth, Universal Pictures, Wilton Graff. Bookmark the permalink. Media tie-ins are nothing new. Radio’s Boston Blackie, a long-running syndicated show about a (mostly) reformed jewel thief and amateur sleuth, got its start as a series of short stories, then silent films, then talkies, before being adapted for radio. And big-screen adaptations of radio series were commonplace. 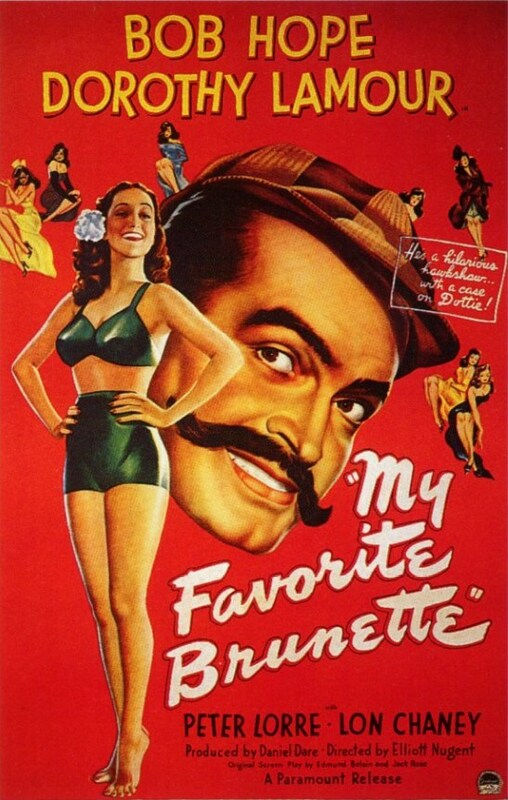 The Whistler, The Great Gildersleeve, Fibber McGee & Molly, The Green Hornet, The Lone Ranger, and I Love a Mystery all led to multiple film adaptations, not to mention the many radio series that were adapted from other media, like dime novels or the daily comic strips, that went on to be films. The radio drama Inner Sanctum Mysteries, which was produced by Himan Brown, premiered in 1941 and ran for more than 10 years. An anthology thriller program, its scripts weren’t quite as clever as The Whistler, and it didn’t regularly feature A-list Hollywood talent like Suspense, but it was an effective show. While rarely out-and-out supernatural, it tended more toward the macabre than other programs of its type. Its jealous husbands, scheming wives, and escaped lunatics were flesh and blood, but its settings — crumbling churchyards, decrepit mansions, and dark and stormy nights — could have done double duty in horror stories. 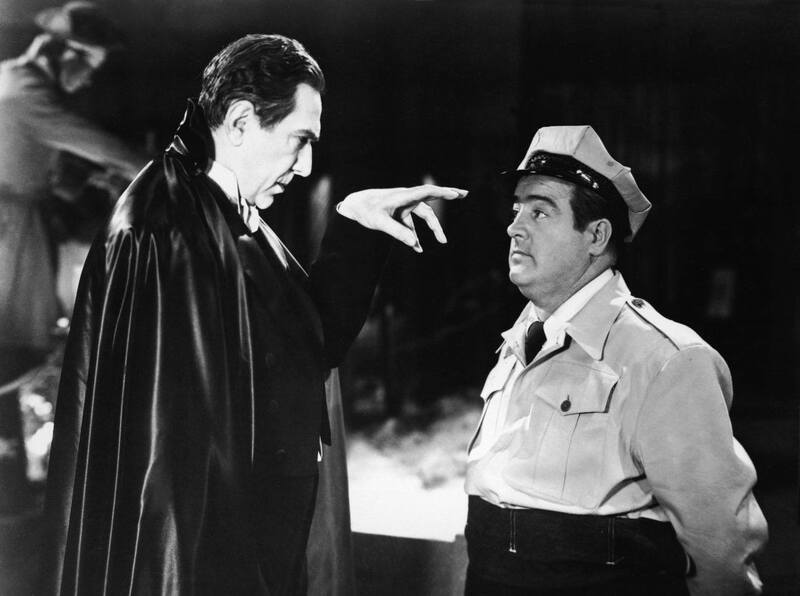 From 1943 to 1945, Universal Pictures released six “Inner Sanctum Mysteries.” They were all low-budget B pictures starring Lon Chaney, Jr., all clocking in at under 70 minutes, each designed to be the second half of a double bill. Calling Dr. Death (1943) was followed by Weird Woman (1944), Dead Man’s Eyes (1944), and The Frozen Ghost. All of these films are entertaining (especially Weird Woman), but compared with the radio show, they’re missing some of the ghoulish fun. They’re always introduced the same way … not by Raymond or someone like him, but by a head floating in a crystal ball that speaks as though its owner is on a heavy dose of Thorazine. The Frozen Ghost features Chaney as a famous mentalist who watches a man die during his act. He believes he caused the man’s death with his hypnotic gaze, and goes into seclusion to a wax museum, of all places. When a woman dies after a hypnosis session there, he’s convinced he’s a psychic killer, but then her body disappears. What gives? Unlike the first three films in the Inner Sanctum series, The Frozen Ghost is a bit of a mess, but scream queen Evelyn Ankers is always a welcome sight, and at one hour and one minute, the picture doesn’t really overstay its welcome. 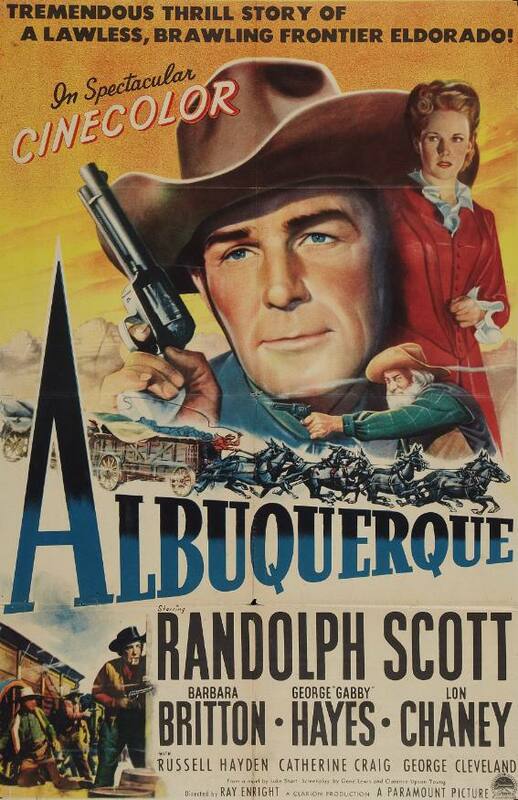 Chaney was born Creighton Chaney, but started being billed as “Lon Chaney, Jr.” in 1935. As an actor, he is the antithesis of his father, who was one of the most brilliant chameleons in film history, and one of the finest actors of the silent era. Chaney, Jr., on the other hand, acted exactly the same in every movie, like a hulking man-child who appeared to be staggeringly hungover in every scene. I enjoy plenty of films he appears in, but he’s not a great actor. To its credit, the Inner Sanctum series makes good use of him. In the four films I’ve seen so far, he always plays a character who is at the mercy of forces outside of his control, which requires him to appear bewildered, upset, and terrified, which he’s pretty good at doing. 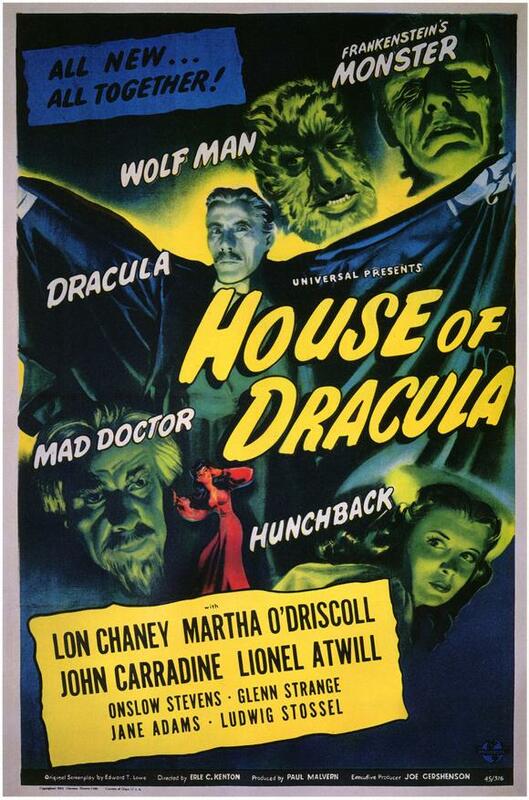 Posted in 1945, June 1945 and tagged Arthur Hohl, Bernard Schubert, Douglass Dumbrille, Elena Verdugo, Evelyn Ankers, Fred R. Feitshans Jr., Hans J. Salter, Harold Young, Harrison Carter, Henry Sucher, Himan Brown, Horror, Inner Sanctum Mysteries, Lon Chaney Jr., Luci Ward, Martin Kosleck, Milburn Stone, Mystery, Paul Ivano, Tala Birell, The Frozen Ghost, Universal Pictures, Will Cowan. Bookmark the permalink.